Kuala Lumpur International Airport, KL’s main airport, is home to two massive terminals called KLIA, the older terminal with most airlines including Malaysian airlines, and KLIA2, home to many budget airlines, primarily AirAsia. The main difference between KLIA and KLIA2 is simply the airlines that each call home. Your plane ticket should state which terminal to go to. Below, I describe whether to go to KLIA or KLIA2 based on your airline if you are still confused. Note that sometimes people talk about KLIA1. This is exactly the same as saying KLIA. The two terminals do sit side by side and the distance between KLIA and KLIA2 is only a couple of kilometers as the crow flies. However, it is longer by road and these are not pedestrian friendly so if you are wondering how to walk from KLIA to KLIA2. Don’t. You can see how they are located in relation to each other in the map below. 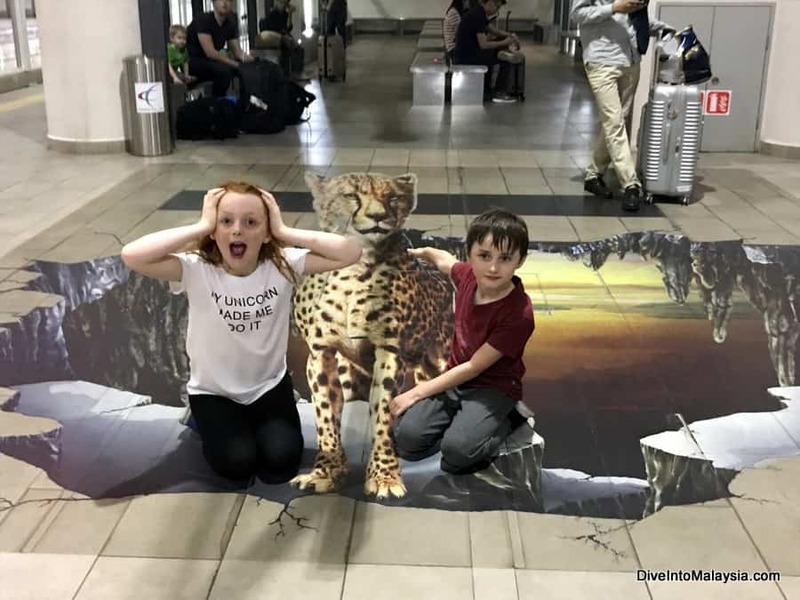 Kuala Lumpur International Airport – the whole shebang! You need to take transportation if you plan to transit through each of them or want to stay overnight at a different terminal (which we have done –there is a much nicer hotel at KLIA than KLIA2 which you can see here). 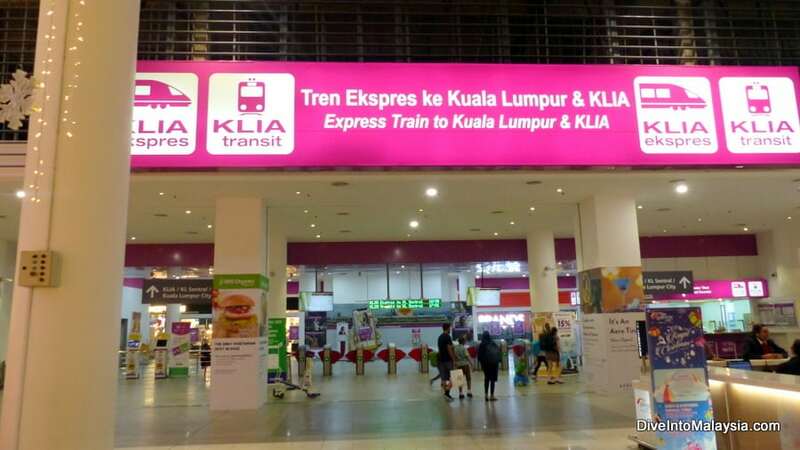 In this article, I explain how to get from KLIA to KLIA2 and from KLIA2 to KLIA. This is very simple and there is no need to worry if you need to make this journey. Just give yourself plenty of time if you flying out on the same day from another terminal especially if you will need to go through immigration and collect your bags. There is currently no way to transfer between the two terminals airside. You will need to pass through immigration and customs if you are on international flights and collect baggage. Once you are ready to go, you have three options. Train, bus and taxi! The options are the same regardless of whether you are working out how to go from KLIA to KLIA2 or how to get from KLIA2 to KLIA. I also describe KLIA vs KLIA2 based on which airline you are flying. Want to read how to get from KLIA2 to KL Sentral instead? Read full details here! There is now a free shuttle bus KLIA to KLIA2 (and reverse) for transit passengers. This means that if you are flying into one terminal and out of the other, you can transfer for free between the two. You can register for this shuttle bus here. Supposedly, you need to pre-book although when we took it, no one was checking anything. I say play it safe and book if you can. This is the only way you can take the free shuttle bus from KLIA to KLIA2 and vice versa. Inside the free bus between KLIA and KLIA2. There is some luggage space. This runs around the clock approximately every ten minutes. The biggest problem is that it goes via the long term car park. When we took it, we had to change buses at the car park. This was easy to do but annoying when you have luggage. Plus, there were already people waiting on the next bus so most seats were taken already. This only seems to be the case when travelling from KLIA2 to KLIA and not in reverse. It adds to the journey time and we ended up taking over 20 minutes. This a short video to help show you what to look for so you find your shuttle bus KLIA2 to KLIA. The main thing is to look for the round, orange logo. You will see this many places and just need to follow it. When arriving at KLIA2 for the shuttle from KLIA2 to KLIA, the pick up point is in the Transportation Hub on Level 1 (this is about a 5-minute walk after exiting customs) at Bay A10. There are signs everywhere for this, you can’t miss it. A10 is at the end of the terminal – turn left when you walk outside and you will find it. When arriving at KLIA, the pick-up point is at Level 1 (signs will say “Tour Coach Lounge”, Door 4. Both the KLIA Express/Ekspres and KLIA Transit go between the two terminals. Just make sure the one you hop on is going in direction you want and isn’t on its way to KL Sentral having already visited the other terminal. The KLIA to KLIA2 train schedule is seven services during peak hours and five during non-peak hours so you shouldn’t need to wait long. Adults currently cost MYR2 and kids MYR1. Kids need a ticket from two years old. 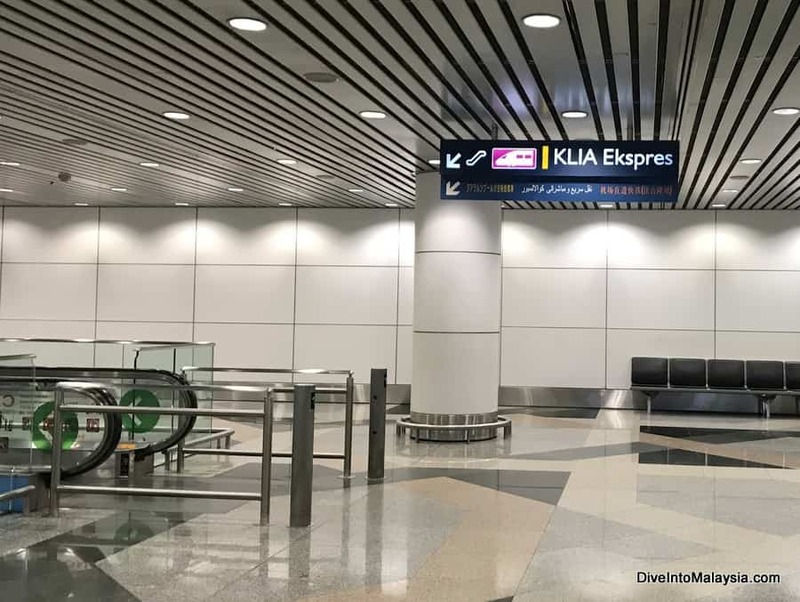 The train stations are within each of the terminals so it is also the easiest option especially as it avoids the longer walk to the Transportation Hub at KLIA2. When taking a KLIA2 to KLIA1 train, you will find the train station after walking out of customs. Keep going straight ahead and follow the signs. It will be to your right. When you find it, you buy your ticket on this top level then go down to level 1 to catch the train. Platform A to go into the city, Platform B to go to KLIA. When taking a train transfer from KLIA to KLIA2, go to level 1. Take an elevator or escalators down. There is a booth selling tickets or machines right next to the platform. It’s easy to use the machines and, when we last used it, there was even a discount for using a visa card. To repeat, make sure you hop on a train that will stop at the other terminal and not just go straight to KL Sentral. Ask someone if you aren’t completely sure but it is somewhat explanatory. 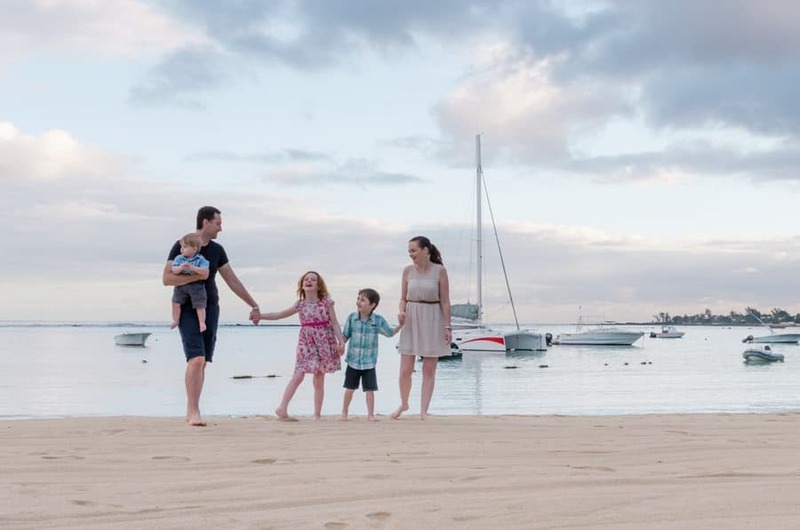 When you arrive at your destination, it is just a short walk to the check-in desks. Cons: More expensive. Longer Than Train. Does not run overnight. There is also another option of a bus from KLIA2 to KLIA and vice versa called the Airport Liner. This bus runs a regular route between the two terminals and other points from Nilai KTM Komuter station from 5:30am to 11:50pm about every 20 minutes. You can take it just between the two terminals. It costs MYR2.50 for a seat. You buy tickets at ticket counters by the boarding platforms. At KLIA, you can find this bus at platforms 10, 11 or 12 at KLIA Bus Station. At KLIA2, you can find this bus at the Level 1 Transportation Hub. 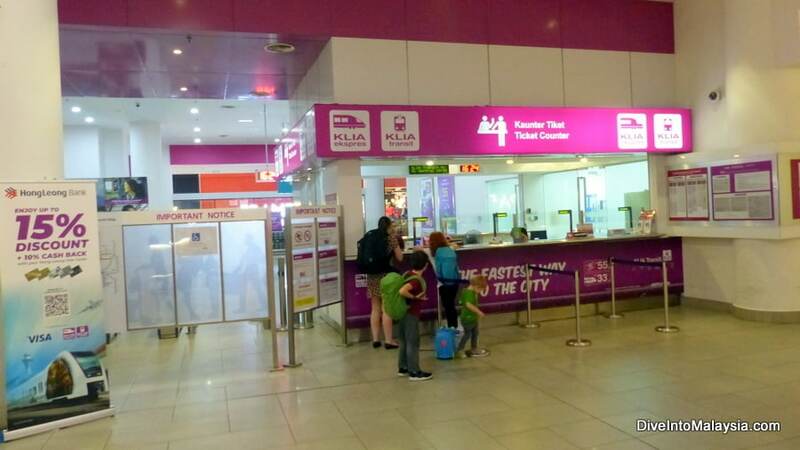 You can find both the KLIA Bus Station and the Transportation Hub, by following numerous signs at the terminals which will point you in the right direction. However, when it comes to the best answer for how to get to KLIA2 from KLIA, I recommend either of the options above over this. If you want to catch a bus, you may as well catch the free shuttle bus. If you are happy to pay, take the train from KLIA2 from KLIA. Pros: More privacy. Runs when you want. The final option of how to travel from KLIA to KLIA2 is with a taxi. 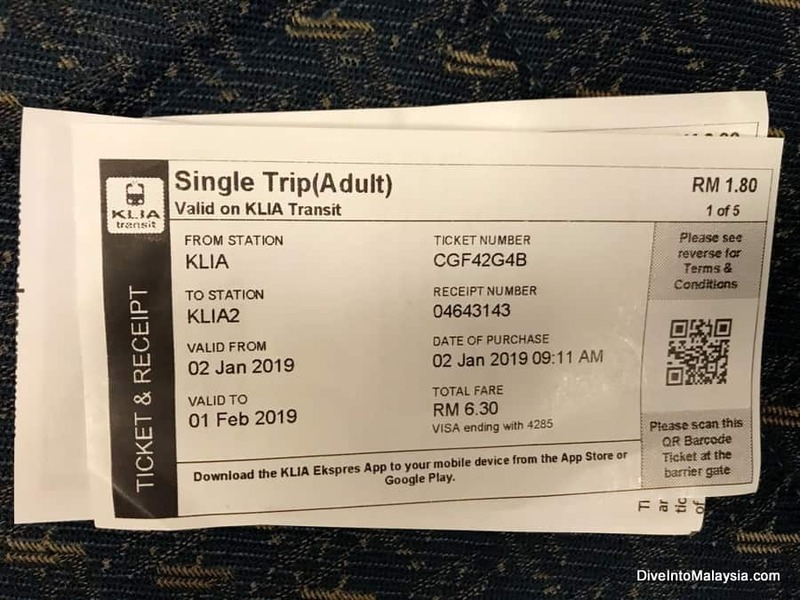 It is straightforward to do this but note that this will most probably take longer than the train, and it is more difficult to get luggage to the Tranportation Hub where the taxis depart at KLIA2 than it is to get luggage to the train platform. It is more expensive with a rough cost being MYR42 for a small car with a coupon taxi. It will be cheaper with a metre taxi but still a lot more than the alternatives. It costs more at night. There really is no reason to take a taxi transfer from KLIA2 to KLIA. If you decide to take this option, the following information will help. In either direction, a metred taxi will be the cheapest option, but you will still need to buy a MYR2 coupon from a counter before boarding and then pay the metred fare on arrival. 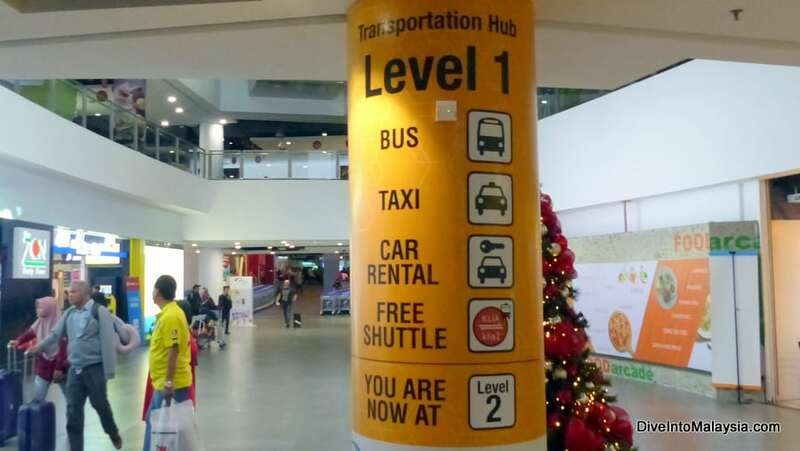 When taking a taxi from KLIA to KLIA2, you can catch a taxi at either level 1 or 3 of the main terminal building. When taking a taxi transit from KLIA2 to KLIA, follow the signs to the TRANSPORTATION HUB as above and buy a coupon for the metred taxi from one of the counters. Walk over to the line of taxis, handover your coupon and you’ll be set to go. If you are wondering which terminal, your airline ticket should tell you. Otherwise, it is quite clear cut as currently no airline flies out of both terminals. As stated above, the general rule is budget airlines at KLIA and full service carriers at KLIA2. But this isn’t a hard rule. If you are wondering AirAsia KLIA or KLIA2, they are the main airline at KLIA2. I promise, you can’t miss them! Also at terminal 2 is Cebu Pactific Air, Jetstar Asia, Tigerair, Scoot and JC Cambodia International Airlines. If you are wondering Malaysia Airlines KLIA or KLIA2, they are at KLIA along with the other carriers including Batik Air, Lion Air, Vietnam Airlines, Emirates, Ana Airlines, Bangkok Airways, Oman Air, China Airlines and many more. Make sure you are clear before you go which terminal to go to. Although, as you can see above, getting between the terminals is straightforward, it still takes some time and you don’t need that stress when you arrive at the aiport. I hope you are now clear on how to go to KLIA from KLIA2 or how to go to KLIA2 from KLIA. Ask below if you have any questions or advice! If you decide to stopover at KL Airport, here’s our favourite airport hotel. Travelling to KL Sentral? Read our guide here. For more KLIA and KLIA2 guides, hotel and lounge options, click here.